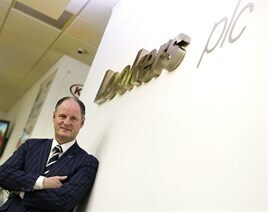 Lookers has acquired Colborne Garages for £33.6 million. The plc, at number five in the latest AM100, has acquired the entire issued share capital of Colborne from the vendors and company directors Richard Neulaender, John Walsh, Guy Rowson and Nicholas Hinallas, for a cash consideration of £33.6m, of which £5m is a deferred consideration. This has been done using the group's existing bank facilities. Colborne is at number 54 in the latest AM100 with a turnover of £188.9m and 2012 profit before tax was £2.2m. Based on figures in the November AM100 the acquisition moves Lookers up one place, overtaking Inchcape Retail in fourth position with a new turnover of £2.25 billion. The business operates three Audi, two Volkswagen, one Skoda and a Volkswagen commercial vehicle, all in Surrey as well as a Jaguar, Land Rover and Bentley dealership in Barnet, North London. The deal adds to Lookers existing Audi businesses in Scotland and Dublin, and expands its Land Rover business across London. Lookers chief executive Andy Bruce said: "This acquisition is an important development in the group's representation of the VW Group and Jaguar Land Rover brands in the South East. "Colborne is a well known, established and successful business for which we have tremendous respect and we are looking forward to welcoming its great team of people to Lookers." Paul Burrows, automotive mergers and acquisitions adviser at Grant Thornton, said: "This is a really good deal for Lookers which is continuing its move forward with the so-called premium brands. "The price is strong but so will be profit expectations – and the portfolio of brands are the most sought after in the market. "The concern around such a strong deal is the ability of other acquirers to match these prices, and vendors’ expectations could be set at too high a level thus creating indigestion in the market. "It does, however, add weight to our view that we will see bigger deals again, and that will further restrict the buyer community. But where else do those quality groups go to get the right scale and profit opportunity? "Outside of the so-called premium brands, we anticipate there will be a more modest impact on pricing for goodwill, but those groups with strong profits, established turn-key markets and excellent brand relationships should be watching the market closely as demand may return. "The smaller scale end of the sector, where profits are low and cash is more restricted, may not benefit greatly from deals such as these, particularly if territories are marginal. As ever, there is always an opportunity to make more of what you have available by re-appraising operational performance and making changes ahead of the curve”. City analyst Panmure Gordon called Colborne "a well-established business with an attractive brand mix". "The headline price for the transaction does not look cheap including a fair amount of goodwill (est £27m)," said Mike Allen, executive director. "But it is possible for Lookers to generate a post-tax return on capital employed of 15-20% if Lookers can generate a pre-tax profit of c£5m over time." On the financial future, Allen said: "We anticipate this transaction to be 7% EPS enhancing in 2014E, and have conservatively assumed steady progress in the business thereafter (see table below). "We have not factored in any significant synergies in finance & insurance, fuel etc into our assumptions, which could materialise further down the line. The balance sheet remains strong with 2014E net debt/EBITDA increasing from 0.5x to 0.8x on the back of this transaction and is expected to fall back to 0.2x in 2016E assuming no further transactions." Earlier this month, Lookers confirmed it had delivered its fifth successive year of profit growth, reporting a pre-tax profit of £43.9m for 2013 against £34.3m in 2012. In October last year, the company acquired Herfortshire-based Land Rover dealership Chipperfield for £10.4m in cash. In December, it bought Volkswagen Van Centre Glasgow from KPMG, the administrators appointed to former owner, Verve Limited, for an undisclosed sum. In May, it acquired the former Shields Land Rover business in south Glasgow. This has been rebranded as Taggarts to fall in line with Lookers' other Land Rover and Jaguar dealerships in Glasgow and Motherwell. 'With the Colbornes acquisition, Lookers continues what appears to be a strategic shift from volume franchises towards prestige and near prestige. Geographically, it reinforces Lookers presence in the South East, although the group remains heavily focussed further north and in Northern Ireland. These two initiatives make good sense, since brand focus in the prestige and volume/prestige segments, together with geographic focus, are clearly linked to better profitability. Colbornes best year recently was 2010, when it made a return on sales (RoS) of more than 2%. Since then it has been coping with its own expansion and has made a RoS nearer 1%. So Lookers is buying the group at a time when the opportunity curve should be on the way back up. Lookers itself has been slowly but steadily improving its retail business, moving RoS up each year by about 0.1%, from 1.7% in 2010 to 1.9% last year. If Lookers continues on this track and allows the Colbornes business to be absorbed without too much “PLCising” the acquisition should indeed be EPS enhancing, as their announcement hopefully suggests. The Colbornes Group has 70 years’ experience in the motor industry and was the first importer of Volkswagen cars into the UK in 1948. The family-owned Colbornes Group changed ownership several years ago and after 62 years in Ripley, Surrey, it relocated to a new purpose built facility on the Slyfield Industrial Estate, Guildford. It has a trade parts, commercial and bodyshop operation. It also caters for business sales and has a customer loyalty scheme with 20,000 members called Colbornes 4 Life.